A spotted hermit crab walks in the depths of the Mediterranean Sea. Crabs, lobsters and other crustaceans represent the most common species in the world's seas, and the waters of Australia and Japan are the most diverse, according to a vast inventory of marine life published Monday. "We have made discoveries. We have learned new things," Jesse Ausubel, co-founder of the Census of Marine Life project, which compiled the roll call of life in the sea, told AFP. Australian and Japanese waters each feature almost 33,000 forms of life that have earned the status of "species." The waters off China, the Mediterranean Sea and Gulf of Mexico also feature in the top five in terms of biodiversity, says the preliminary census published in the open-access Public Library of Science (PLoS ONE). The roll call is the result of a 10-year project by 360 scientists at a cost of 650 million dollars. The scientists combined information that had been collected over centuries with data obtained during the decade-long census to create a list of species in 25 regions, from the Antarctic to the Arctic via the world's temperate and tropical seas. The inventory will be complemented with information still being gathered in areas such as Indonesia, the Philippines, Madagascar and the Arabian Sea in an even larger work which will be released in October. Even then, the inventory will be incomplete, said Nancy Knowlton of the Smithsonian Institution and leader of the census project on coral reefs. "The ocean is simply so vast that after 10 years of hard work, we still have only snapshots, though sometimes detailed, of what the sea contains," Knowlton said. So far, the study has found an average of 10,750 known, named species in a given region, and the census-takers believe that for every known species, there are at least four yet to be discovered. And with the finding that crustaceans are the most numerous, it could change the way humans think of the sea. "When people think of the ocean, they think of fish and whales," said Ausubel. "But the big mammals are only two percent of diversity, and fish are 12 percent. 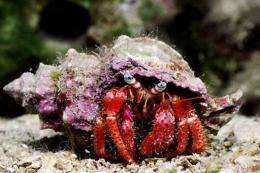 We should think first of crustaceans and mollusks." Around one-fifth of all marine life are crustaceans, followed closely by mollusks -- squid, octopi, clams, snails and slugs -- which make up 17 percent of species in the sea. Next, at 12 percent, come members of the pisces, or fish, family, including sharks. Single-cell microorganisms from the family of protozoa and algae and other plant-like organisms are tied for fourth place in the species inventory at 10 percent. Among others are echinoderms, including starfish, sand dollars and sea cucumbers; porifera, which includes sponges; and cnidaria, including sea anemones, corals and jellyfish. Popular marine mammals such as whales are included in the "other vertebrates" category and comprise only a tiny part of marine biodiversity. Algae, protozoa, seabirds and marine mammals that continually cross the world's oceans are considered the most cosmopolitan species because they were found in more than one region. The manylight viperfish -- Latin name 'Chauliodus sloani' -- earned itself the title of "Everyman of the deep ocean" after data showed that it has been recorded in more than a quarter of the world's seas. The relatively isolated waters of Australia, New Zealand, Antarctica and South Africa have the largest number of endemic species, or those unique to that region. In contrast, the Mediterranean Sea had the most "alien" species: over 600 species, or four percent of those inventoried, were originally from elsewhere. Most had come from the Red Sea, via the Suez Canal. The Mediterranean is also one of two regions most threatened by human activity including overfishing and pollution. The other is the Gulf of Mexico, which was inventoried just prior April's massive BP oil spill. A key reason for compiling the inventory of marine life was to catalog species that are in danger of extinction. "Marine species have suffered major declines -- in some cases 90 percent losses -- due to human activities and may be heading for extinction, as happened to many species on land," said Mark Costello of the University of Auckland in New Zealand, explaining why the "inventory was urgently needed."